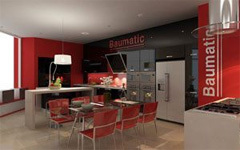 At Baumatic we understand that the kitchen is one of the most important rooms in the home and we have done everything we can to bring you a comprehensive range of quality appliances that deliver a unique and exciting blend of kitchen fashion and affordable cutting-edge technology. Cooking, cooling, laundry, dishwashing – the appliances in each of our specially co-ordinated collections have been designed to go together perfectly, with some features so advanced you won't find them anywhere else. Baumatic. Your first choice for style, the last word in performance. The Baumatic design team has won international recognition for the way it incorporates advanced technology into every appliance that carries the Baumatic name. 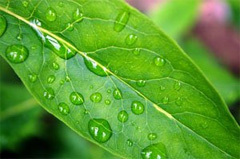 Our products are all about user-friendly innovation for everyday living, giving you better-than-ever results while saving you time, energy and money. 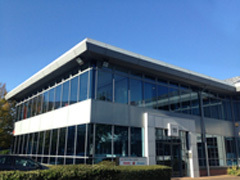 Established in 1992 Baumatic has experienced rapid expansion over is short 21 year history. With a reputation for quality stylish appliances and great customer service it has become a much sought-after brand. In November 2013 Baumatic was acquired by Hoover a much trusted brand with a strong 100 year heritage.